Check in to your accommodation then explore this beautiful, historic city. • The cathedral city of Winchester. • Beacon Hill – it’s a nature reserve and commands outstanding views of the surrounding countryside. • Old Winchester Hill – great views and there is a fine Iron Age hill-fort site at the top. • Meon Springs – beautiful spot where you can get refreshments and fill up your water bottles. • Butser Hill – highest point on the South Downs Way at 270 metres. • Queen Elizabeth Country Park – large area of beautiful mixed woodland. • The picturesque village of Buriton ( half hour (in total) detour from the way). • Harting Down – fantastic views across the Weald, it’s possible to see the North Downs on a clear day. • Heyshott Down – great views inland. • Bignor Roman Villa – dating back to 3rd Century AD, with amazingly preserved mosaic floors. 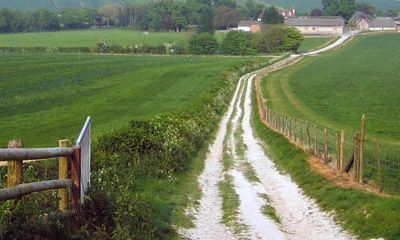 It’s 1.5 miles from the South Downs Way and just off the old Roman road Stane Street. • Bignor Hill – fantastic views right along the Downs. • Amberley Working Museum – excellent museum of local history, just off the way. • Amberley village – one of the prettiest villages in the South Downs, just off the way. • First glimpse of the sea to the south and sweeping views of Amberley Brooks nature reserve after climbing out of Houghton Bridge and Amberley. • Chanctonbury Ring – said to be haunted, it’s the site of an Iron Age hill-fort dating back to the 6th Century BC. Fantastic views out to sea and along the downs. • River Adur – views south towards the stunning hillside Abbey at Lancing College. • Fulking Hill – spectacular 360 degree views. • Devils’s Dyke – legend has it that the Devil dug the valley to drown the parishioners of the Weald. • Ditchling Beacon – heading east from here, there are fantastic views inland across the weald and towards ashdown forest. • Lewes – this pretty county town is steeped in history• Monk’s House, Rodmell – this was the home of Virginia Woolf, now owned by the National Trust and open to the public. • Iford Hill – great views inland towards Mount Caburn to the north and the sea to the south. • The picture postcard village of Alfriston. • Beachy Head – spectacular chalk cliff jutting into the English channel with fine views west across the Seven Sisters and east over Eastbourne and beyond. The spectacular Seven Sisters make a fitting finale to the South Downs Way. 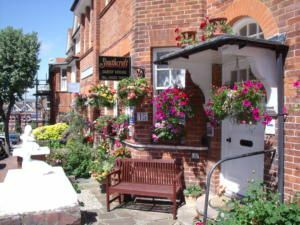 You can then either depart Eastbourne in the afternoon or stay over and depart the following day, giving you a chance to explore this elegant seaside resort or just put your feet up! £595 per person for 6 nights. 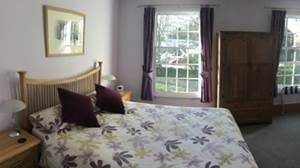 £640 per person for 7 nights (overnighting in Eastbourne at the end of your walk). 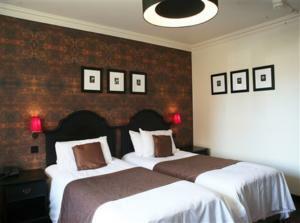 These prices are based on two people sharing a room, single supplement of £30/night applies. This walk is available to book any time between 25 March – 13 October 19. We understand that good quality accommodation is the key component to a successful walking holiday and often the difference between a good holiday and a great one! So rest assured, after a long day’s walking you can expect a very warm welcome. We don’t like leaving anything to chance, so we personally visit all our accommodation providers, as well as constantly monitoring customer feedback and online reviews. We know all our B&B owners very well and we only work with nice people! 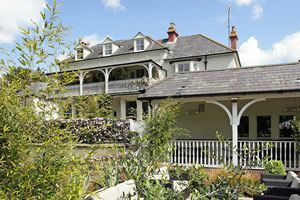 Here’s a selection of some of the handpicked B&Bs, hotels and country inns we use – feel free to check them out on Tripadvisor, we do! 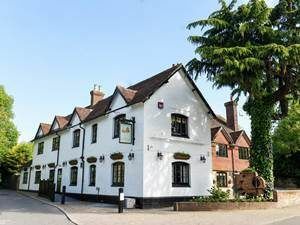 The Village Inn, Buriton – situated in a peaceful location in the picturesque village of Buriton, the Village Inn is a privately owned pub and hotel offering very comfortable accommodation. 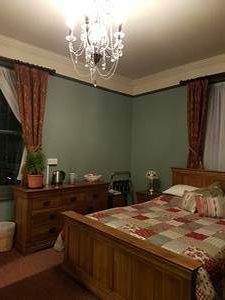 Guillards Oak, Midhurst – Conveniently situated in a quite location yet close to the town centre, Guillards Oak is a welcoming B&B offering comfortable accommodation. The Swan Inn, Midhurst – a historic and friendly pub, the Swan offers comfortable accommodation and great food. 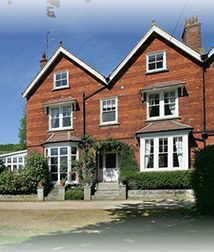 Murrells B&B, Lewes – tucked away in a tranquil spot yet just 5 minutes from the centre of Lewes, Murrells is an excellent, friendly and welcoming B&B. If you have the time to spare, we’d really recommend taking a day off during your walk. This not only gives your legs and feet a rest, but also gives you the opportunity to explore the local area, and there is plenty to see and do! 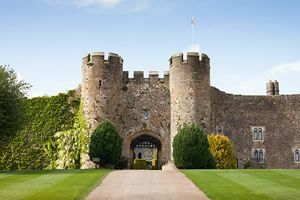 The historic town of Arundel, with its magnificent castle and cathedral, is well worth a visit, as is the historic county town of Lewes. 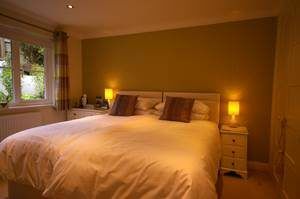 Or you could just take a leisurely stroll around the beautiful village of Amberley, or just put your feet up for the day! We are passionate about the South Downs and are only too happy to share our knowledge and expertise to help you get the very most from your trip. Every walk we offer is one we have enjoyed ourselves! Our years of experience of working in, as well as walking and cycling throughout the South Downs National Park give us a level of expertise that’s hard to beat! We believe that attention to detail is the key to arranging the perfect walking holiday, so we take great care in planning your holiday to ensure everything runs like clockwork. Our friendly and flexible approach means that we can offer a genuinely tailormade service, and help you find the holiday that is perfect for you. 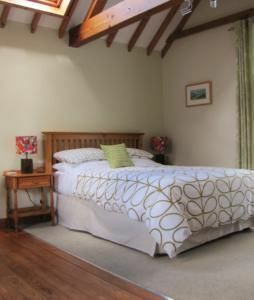 We understand that good quality accommodation is the key component to a successful walking holiday and often the difference between a good holiday and a great one! So rest assured, after a long day’s walking you can expect a very warm welcome. We don’t like leaving anything to chance, so we personally visit all our accommodation providers, as well as constantly monitoring customer feedback and online reviews. We know all our B&B owners very well and we only work with nice people! We take great pride in ensuring that every single one of our customers receives outstanding service, specifically tailored to their needs. You’ll deal with the same person from your first enquiry until the end of your holiday, ensuring continuity and great service! For your peace of mind, we provide you with a mobile number to contact us on should you need support outside office hours. The natural beauty of the South Downs National Park is central to all our walking holidays, so we feel it’s important to play our part in protecting this beautiful area. We have a whole page on our website dedicated to <a href="/responsible-tourism/" responsible tourism and are also members of the South Downs Society, an independent charity dedicated to protecting the National Park for the enjoyment of future generations. You can relax in the knowledge that any payments made to us for walking holidays are completely protected. We are a member of The Travel Vault Ltd which means that at no extra cost to you, and in accordance with ''The Package Travel, Package Tours Regulations 1992'' all clients booking with Discovery Walking Limited are fully insured for the initial deposit, and subsequently the balance of monies paid as detailed in your booking confirmation form. 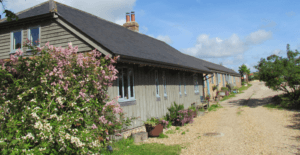 Most of the accommodation we use is within a mile or so of the South Downs Way, but occasionally we use B&B’s a bit further from the trail so as not to compromise on quality. In these cases, we will provide you with a taxi transfer to/from your accommodation. It all went swimmingly, and the kids put up with the walk ok! 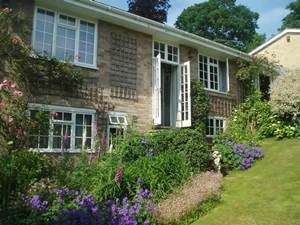 The accommodation was excellent, extremely friendly and helpful owners. Thanks for the organisation Paul, it made the whole thing very easy. I hope to be back for a longer section! Hi Steve, I just wanted to thank you for your professional service during my recent walk of the South Downs Way. It was great not to have to worry about moving baggage from place to place. I also had the pleasure of meeting Mrs Steve. Hope it all goes well for you in the future and if I get the opportunity I will put your company forward. Meanwhile, we’re back home and life is back to normal but it has that extra shine because we can look back on a wonderfully relaxing and invigorating walking trip, with perfect weather, beautiful scenery, pleasant and well-appointed B&B’s, good food and drink and last but not least your excellent organisation! Thanks and best regards. We greatly enjoyed our holiday in the South Downs and had a wonderful time. Thanks to your careful organisation everything went well and we were also very pleased with the B&B’s and other accommodation you selected. All in all, for us it was an ideal holiday. Hi Steve, nice to meet you briefly on Tuesday at Holt House, Washington and just wanted to express our thanks to you (and your wife) for your efficient baggage delivery service this week. What a fabulous week’s walking we were lucky enough have in the autumn sunshine, even more enjoyable as we knew we didn’t have any worries regarding our baggage transfers. Thanks again. We all had a great holiday, especially helped by the weather and the excellent organising that you did for us. It was really helpful to have the route / turn off’s marked and the x for places of reference in the trip notes. And all your recommendations in the trip notes were spot on. Many thanks for organising it for us.